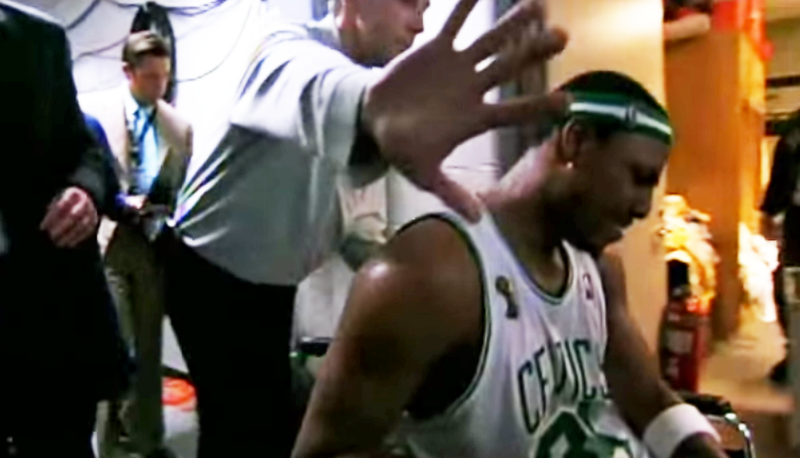 With Paul Pierce now on the Wizards, we thought we'd take a look at some classic Paul Pierce moments. Heres a clip from 2009 of newly acquired Wizards forward Paul Pierce. During a finals game in 2008 vs the Lakers, Pierce ran into his own player and crashed to the ground screaming in pain. He was carried off the court by his players and then placed in a wheelchair all the time looking like he just saw the end of Marley and Me. Miraculously, a few minutes later, Pierce returned 100 percent healed. Oh...I thought you were dead bro! Here's the NBA on TNT crew heckling Pierce Mystery Science Theater 3000 style.